Tooth Whitening (take home trays)– undergoes a process where an impression (duplication) of your teeth are made at Queen’s Park Dental and custom trays are fabricated to fit over your upper and lower teeth. 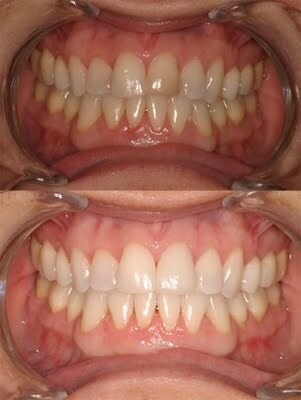 A mild whitening solution is then placed in your custom trays that fit over your teeth. Depending on the strength of the solution, the tray and whitening solution are worn for 30 minutes, 90 minutes or even up to 6 hours (sleeping with them). This process is done at home and depending on what condition your teeth are in, it can take as little as 3 days to 2 weeks and sometimes longer to get your desired result. You will need to return to the office to make sure the whitening system is working and your teeth and gums are healthy. In Chair Whitening– we use Iveri Whitening system at Queen’s Park Dental. This involves placing a protective coating over your gums and placing a gel filled tray in your mouth. We then place a LED light in front of your mouth for 2o minutes that enhances the whitening procedure to provide long-lasting results. 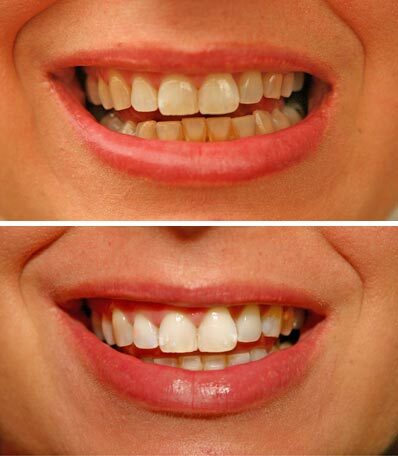 For best results please get a professional cleaning before your whitening appointment. Iveri contains Potassium Nitrate which protects teeth from sensitivity during treatment. Touch up treatments can be scheduled every 2-12 months, depending on your results. Please call us if you have any further questions 604-522-5242. There can be several contributors to discolored teeth. These include but are not limited to; Tetracycline (antibiotic) treatment as a child, excessive fluoride during tooth development, natural aging process, smoking, drinking and eating strong colors (ie. coffee, dark cola’s, red wine, curries), pulp/nerve degeneration and trauma (injury). Patients with sensitivity will require a day or two break in between treatments. It is also recommended that you do not eat, drink or smoke while the trays and whitening solution are in your mouth. It is best to avoid smoking for at least two hours after treatment. Smoking will be a significant disadvantage to a happy outcome. 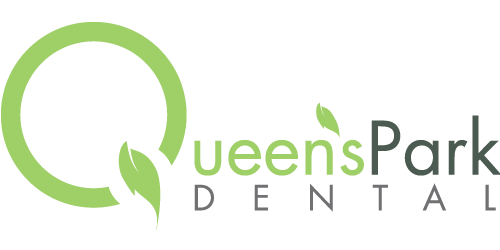 The Queen’s Park Dental team will go over all the instructions before you leave your initial appointment.